Last edited by Mr JP; 2nd January 2018 at 09:51. No H1's for High Beam JP? Can you get a set for a MK5 Golf? There will be, still awaiting supply, will update when in stock. Yes I believe the Golf is H7 for dipped beams, so this kit is correct. Is there an how to on installing these? Are they plug and play or more complex install? They come with instructions, but it's very simple plug and play, no drilling or tools requires like with HID kits. 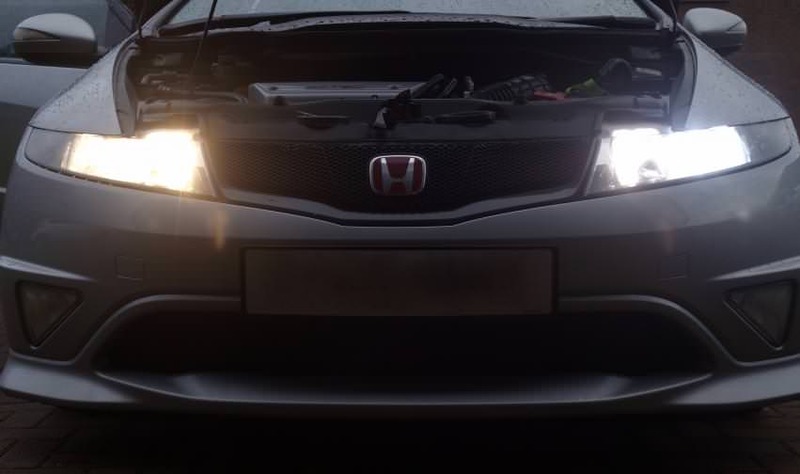 Has anyone fitted these to their Honda Civic and what is the cutoff and light output on the road like compared to H7R which I have. Pictures would be good as a comparison. well! i finally got one fitted just in case anyone has any doubts. One phillips lumileds fitted for comparison with the Osram night breakers unlimited. Fitting is nice and easy, just unscrew the black heat sink, clip the h7 body in place. Screw the heat sink back on and connect the wires up. I also used Velcro to secure the box to the cap, tight but all in. The results speak for themselves within the photos, one of my main concerns was glare. I can tell you that i had nothing to worry about with these. If i do land up with heat spot burning, well that will give me the perfect excuse to renew my headlamps as they are showing signs of all the motorway usage. But when looking at the design and distance from the lens i can't see this being a problem. Will you ever stock 5000K versions? Actually these appear to be slightly less than 6000K, more 5500K in my opinion. We don't plan on stocking other colour temperature options at the moment. I have a standard 57 reg 2007 'EX' with HID. I presume the HID is for the dipped lamps, and its halogen on the high beam - to permit instant response. Is there a kit to replace all 4 lamps with LED's? Is there anyone with these fitted? Many are talking about the cut-off, which of course is very relevant, both in not dazzling other road users and also, similarly, permitting the vehicle to pass the MOT. Does such a kit exist, and how easy would it be to 'convert'? We don't do the LED kits in D2R fitment, so a straight swap with factory HIDs is out of the question. Is there anyone with them fitted? Yes, see posts above yours. We have also had them fitted to our own test cars, no dazzling, and pass the MOT test for lights. Just thinking would be nice to match colours, not have near-white HID's, and yellowish (comparatively) halogens. Flashed a Beemer in one of the local narrow roads, to let him through - loved the 'instant light' effect of the LED's - made my Civic seem old - which it is, even if its a gud'un!! 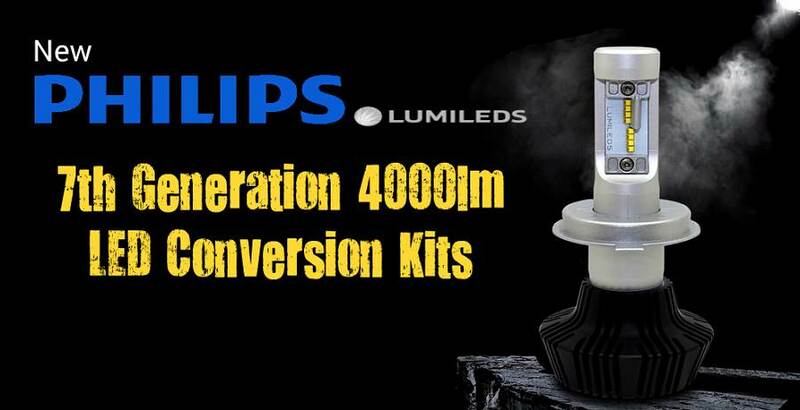 Our 6000K H1 bulbs will replace high beams and offer a white light as opposed to the standard yellow. Very happy with the Philips LED Dip beam bulbs a huge improvement over standard bulbs. If there is a main beam and fog light equivalent I would be interested in these as well. Give me a shout if you would like a set.